Did you know that spinach is good for your health as much as for your skin? This leafy green is not just strengthens the muscularity pop as Popeye, but it is also rich in minerals and vitamins that have got proven beneficial to accomplish healthy body and gain youthful. The spinach is known as a initially a local production of Iran and was later made known to the world. It grows in temperate regions and comes in to mainly two varieties (flat leaf and curly leaf)The curly leaf spinach is more popular, mainly because it is most preferred for their subtle flavor. Generally, spinach is available throughout the year, but is seen lot of in the bazaars throughout the months of March to May and September to October.When buying spinach, make sure you get leaves which are rich dark green,it is new bid. Bright green color spinach is an indicator of its rich content of vitamin C.
Talking of vitamins, Popeye’s best-loved snack is also enriched with vitamin A,also has antioxidant lutein and beta carotene which helps to strengthen the body tissues. These antioxidants play an important role in protecting the skin from wrinkles. and photo aging ,maintain moisture ,makes skin more elastic and Improves the skin, Having a smooth and well hydrated skin is essential to prevent wrinkles and early signs of aging appear. Eating a mug of cooked spinach can get you about 35 percent of iron, which requires daily for the body.In fact it is best cure for anemia, which causes pale skin,brittle nails, itching, dryness of hair and dry mouth. Iron is needed by the body to produce the right amount of oxygen, which is an important element in the restoration of broken tissues. It also improves to maintain skin strength by growing the production of collagen and elastin. However, it should be noted that cooking of spinach should be done in simple way by boiling is the best way.by boiling spinach leaves the high content of oxalic acid get reduced.retaining most of its nutritional value. Take pot of boiling water put a washed vegetables in to it and let it cook, uncovered for 1 minute. The large amount of cooking water and steam removes the acid from the leaves. After cooking, drain and eaten as it is. It can also be serve as a salad. Just add your choice of fresh vegetables and salad dressing.Involving spinach into your everyday meals is a excellent way to fight cancer, particularly colon and breast cancer.Researchers have studied samples of spinach juice and flavoring content. They found that these compounds are capable to stop cancer cells from multiplying in the stomach and skin. In addition to flavonoids, which also has another carotenoid called neoxanthins breaking the prostate cancer cells. spinach is a best power plant! 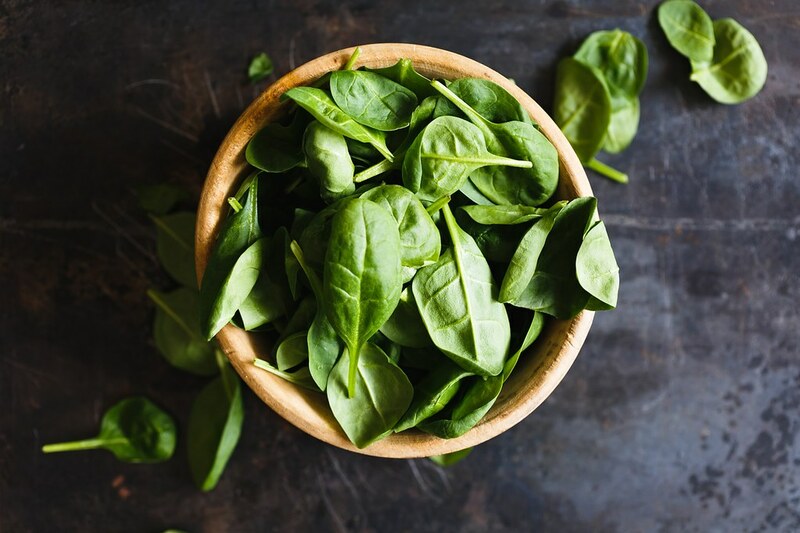 If you are concerned about how you can incorporate this vegetable in your diet without getting tired of it, there are plenty of ways to cook spinach. In addition to a boil and mix up a salad, lasagna can also be added or mixed into a filling soup for dinner. Spinach sauteed in olive oil also has a great flavor of pine nuts, and gives a higher absorption of antioxidants in your body. It also works well as a plate of grilled fish or meat for stir-fry in olive oil, garlic, basil, a pinch of salt and pepper and a squeeze of lemon. Be sure to clean the leaves before cooking. To do this, cut the roots and blades. Then swish it in a large bowl with water to the sand and soil from falling. Repeat two or three times, but never soak in water for a long time, or you are staying with a taste of vegetables and vitamin less. On the other hand, if you are receiving the supply of groceries which are often sold per-washed bags of vegetables, no need to rinse it several times. Once just before cooking is sufficient. Avoid washing spinach leaves before storage to keep it fresh for five days or less. Package in a plastic bag and the open air before storing in the refrigerator.